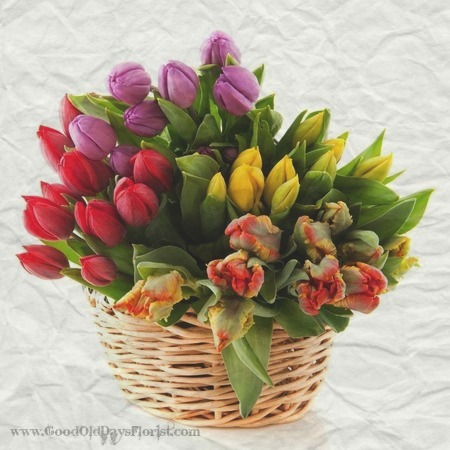 The second traditional flower for a Valentine…tulips. In the Language of Flowers it carries messages from “a declaration of love to ardent love” depending on the color. So this basket says it all.